The NRC’s Commissioners have given the staff the authority to issue the Tennessee Valley Authority (TVA) a full-power operating license for Unit 2 at the Watts Bar nuclear power plant site in Tennessee. That permission has some strings attached, however, so we’re still months away from our final licensing decision. If TVA is issued the license, Watts Bar 2 will be the first U.S. nuclear power plant to start operating since 1996, when Watts Bar 1 came online. TVA still has to satisfy the staff that several regulatory requirements for safe operation of Unit 2 have been met. We’re finishing up the licensing and inspection activities we need to conclude TVA is ready to load fuel and operate the reactor, which is near Spring City, Tenn.
We have to be satisfied not only that Unit 2 is safe to operate, but also that TVA can safely transition to operating two reactors at the site. We’re completing a few licensing actions needed to support dual-unit operation at Watts Bar. TVA also has to pass our remaining operational readiness inspections. Other upcoming milestones include getting a recommendation from the NRC’s Region II Administrator, who has oversight responsibility for all inspections performed at Watts Bar 2. We also need to issue a couple supplements to the reactor’s Safety Evaluation Report. TVA’s progress in completing construction and testing of Watts Bar 2 will directly influence our completion of the milestones. We may be able to make a licensing decision later this year. TVA has said repeatedly, however, that the actual operating license date depends on several factors and could shift as the final months’ work is completed. While we take TVA’s schedule into consideration for planning our licensing and inspection work, our priority is always on ensuring safety. If we conclude Unit 2 is safe and ready to receive a license, TVA will still have to successfully complete several tests, including running the reactor at gradually increasing power levels, before the reactor can provide electricity to the grid. The NRC website has more information on the past few years of Watts Bar Unit 2’s licensing and inspection activities. Unit 1 at the Watts Bar Nuclear Plant in Spring City, Tenn., has a claim to fame as the last U.S. commercial nuclear reactor to come online in the 20th century. Now, the Tennessee Valley Authority aspires to have its sister reactor (Watts Bar Unit 2) make its own historic claim. Numerous cranes helped complete construction of the Watts Bar Nuclear Plant Unit 1 containment building in front of the plant’s cooling towers in 1977. If the NRC concludes that the reactor is safe to operate and approves its operating license next year, Watts Bar Unit 2 could become the first new commercial nuclear reactor to come online in the U.S. in the 21st century. To understand a little of the history of Watts Bar Nuclear Plant, let’s rewind to a time when Schoolhouse Rock premiered and the first mobile phone call was made in New York City — a time predating the NRC. In 1973, the Atomic Energy Commission greenlighted construction of Watts Bar Units 1 and 2 under the “two-step licensing process,” where construction permits and operating licenses were issued separately. In 1985, construction quality issues at its plants caused TVA to stop work at both Watts Bar Units. Eventually, TVA resolved the issues and completed construction of Unit 1, and the NRC issued its operating license in 1996. Fast-forward to more recent activities. TVA decided in 2007 to reboot the Watts Bar Unit 2 construction and licensing process. They submitted an update to their original license application to the NRC in 2009. Other recent applicants have elected to use the combined license application process, where we issue a single license to both construct and operate a nuclear power plant at a specific site. However, because of the unique history of Watts Bar Unit 2, TVA chose to continue under the two-step licensing process. So, NRC staff developed a regulatory framework and established a licensing approach tailored specifically to the project. We updated our construction inspection program associated with the two-step licensing process to provide guidance that reflects current NRC practices. For example, the NRC staff identified areas for further inspection at Unit 2 by screening applicable communications, allegations and other open items in the review. The NRC staff also developed inspection guidance specific to TVA’s refurbishment program, which replaces or refurbishes systems and components at Watts Bar Unit 2. TVA’s resolution of key safety issues and the continued progress of construction inspection activities drive our review schedule. If the operating license is issued next year, the NRC’s job doesn’t just end. We’d continue to inspect start-up testing required for power ascension and to oversee that Unit 2 transitions into the NRC’s Reactor Oversight Process before it can begin producing commercial power. And, of course, the Resident Inspectors, the agency’s eyes and ears at the plant, would continue to carry out day-to-day inspection work to ensure safety and security is monitored and inspected during licensing and throughout the transition to commercial operation. 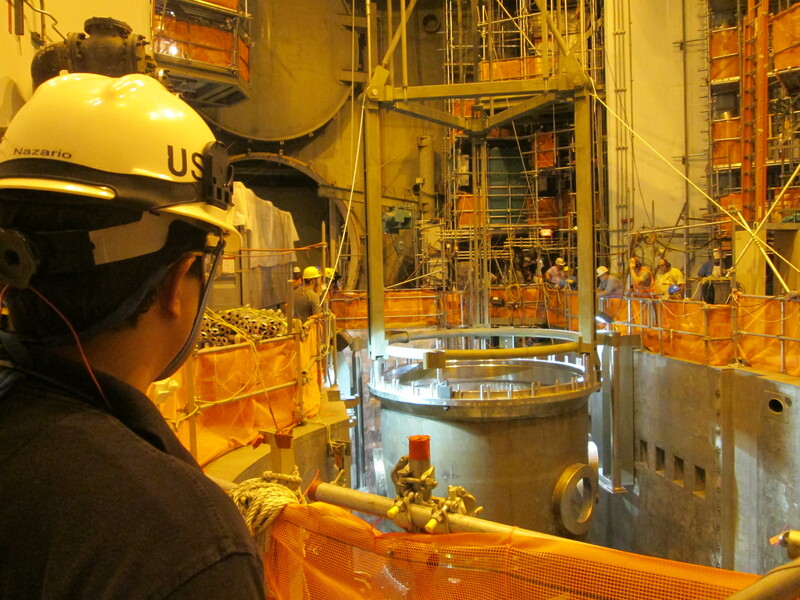 For more information about the Watts Bar Unit 2 project, visit the NRC’s website. There will be a Commission briefing Oct. 30 at 9 a.m. on the license application review. You get details about the briefing from the meeting notice. We’ll also do a live webcast. Obviously, the Reactor Oversight Process, or ROP, has been in effect for years. The NRC staff recently developed a Reactor Oversight Process for construction, known as cROP, designed to inform oversight of the ongoing work at Southern Nuclear Co.’s two new units at Plant Vogtle near Augusta, Ga., and SCE&G’s two new units at V.C. Summer near Columbia, S.C. The new process uses numerous features of the original ROP, including the inspection program, assessment process and enforcement policy. But the construction ROP has its own Action Matrix and employs a construction significance determination process to assess the importance of inspection findings. 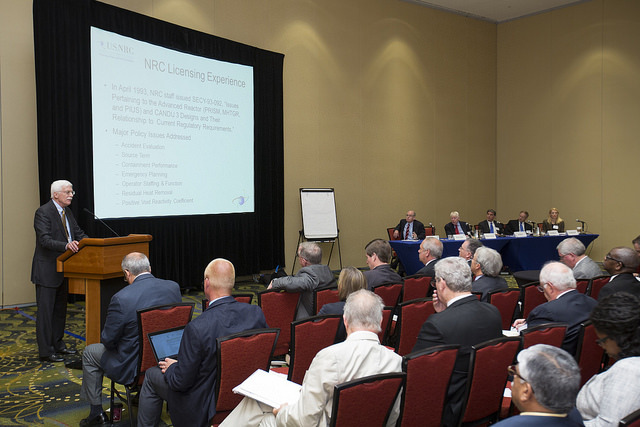 Senior officials in the Office of New Reactors, or NRO, held public meetings near both sites this month to explain the program and gather public comments on possible revisions to improve it. Another public meeting is scheduled for Feb. 6 at NRC headquarters to evaluate the pilot, with the goal to report to the Commission by the end of April. The inspection program is a joint effort of Region II and NRO. Three construction resident inspectors are at each site, supplemented by regional specialists in various disciplines ranging from welding to concrete. Inspectors from headquarters monitor and review the performance of suppliers who ship safety-related components to the sites. The NRC estimates that the agency’s inspectors will perform some 30,000 hours of inspections for each new unit before the process ends. Specifically, the inspection regimen requires the licensees to verify they have met 875 different ITAAC, or Inspections, Tests, Analyses and Acceptance Criteria. This comprehensive oversight program means any unit that is built would be constructed according to all applicable NRC regulations.